Borrodale School was a primary school which operated until 2007 after which it has became disused and increasingly derelict. 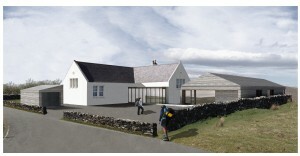 The land and buildings comprise of a school house, school buildings and a portakabin within surrounding land. It sits in a highly prominent location on the road to Neist Point, one of the most popular visitor location in Skye. Since the school’s closure, attempts have been made to make use the school, most notably with the establishment of an exhibition on heritage and a community café, run by volunteers. However these attempts were ultimately unsuccessful and the school has become disused again. The Glendale Trust have now taken ownership of the School and are looking to redevelop the site to take it into community use. At the same time the project will generate income to Glendale Trust which can be used to reinvest in other projects in the pursuit of their Community Growth Plan. To achieve this project and generate the community benefits, it will be paramount that the project successfully balances community activities and benefits with income generating activities which will make the project become sustainable and ensure the delivery of these community benefits on an ongoing basis. 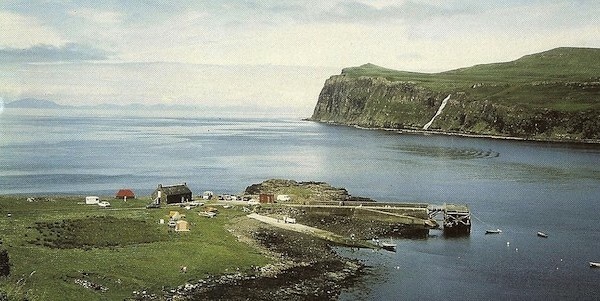 the development of Meanish Pier to provide improved shore and water based facilities including an improved pier and slip, a new walkway and 5 additional deep water moorings. The facilities at Borrodale will provide services for visitors to the pier. a community transport project, this additional community/public transport will supplement the limited school bus service will provide an additional service to locals and visitors to the bunkhouse and restaurant/bar.